The Conductor and FCMG President Sir Colin Davis has died at the age of 85. Sir Colin Davis, CH, CBE was an English conductor and was President of FCMG since 1997. His repertoire was broad, but among the composers with whom he is particularly associated are Mozart, Berlioz, Elgar, Sibelius, Stravinsky, Tippett and of course Britten. FCMG performed under him several times, most recently in 2004 at the BBC Proms where he conducted Britten’s War Requiem. Born in Weybridge on 25 September 1927, Sir Colin studied clarinet at the Royal College of Music, going on to play in the band of the Household Cavalry during his military service. 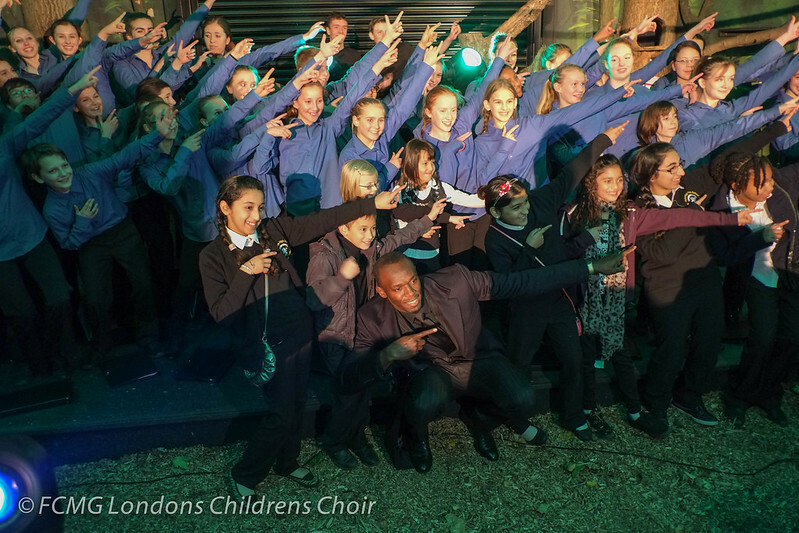 FCMG’s Senior Choir will be joining forces with the Ernest Read Symphony Orchestra on Sunday 24th March for a children’s “explorer” concert including Britten’s Young Persons Guide to the Orchestra and Patterson’s Little Red Riding Hood Song Book. The Concert takes place at St Mary’s Church, Primrose Hill and starts at 5:30pm – tickets are available on the door. FCMG and FCS present a wide-ranging programme of British sacred and secular music of the last 120 years. In the centenary year of FCMG’s Founding President, Benjamin Britten, the programme includes five of his works, extending from Hymn to the Virgin and Te Deum in C, both published in 1934, to the Missa Brevis which he composed in 1959 for George Malcolm and Westminster Cathedral. We also include Finzi’s God Is Gone Up, another work from the 1950s, and I Was Glad, the setting of Psalm 122 which Parry composed for the coronation of Edward VII. The secular strand of the programme includes Britten’s three Two-part Songs, early settings of poems by Walter de la Mare, and Elgar’s The Snow, an early setting of a poem by his wife Alice, as well as two recent works – James MacMillan’s setting of Robert Burns’ The Gallant Weaver, commissioned by Paisley University and premièred in 1997, and Richard J Harvey’s setting of Walt Whitman’s On the Beach at Night, commissioned by FCS and premièred by them in 2011. In addition to settings of poems the concert includes two settings by Andrew Carter of traditional songs and Vaughan Williams’ Five English Folksongs. An educational cantata to promote awareness of the five great carnivores of Africa – lion, cheetah, leopard, hyena and wild dog. The piece was first presented in Bulawayo in May 2012 by the Zimbabwe Academy of Music with a cast of over 500 pupils. The project has been developed under the patronage of the Zoological Society of London. It was conceived as part of an initiative to offer musical opportunities to students whose curriculum does not generally allow for such studies. This performance on 22nd November was a 12 minute reduction of the longer version and was a part is a fund-raising gala sponsored by the Seitz Foundation. 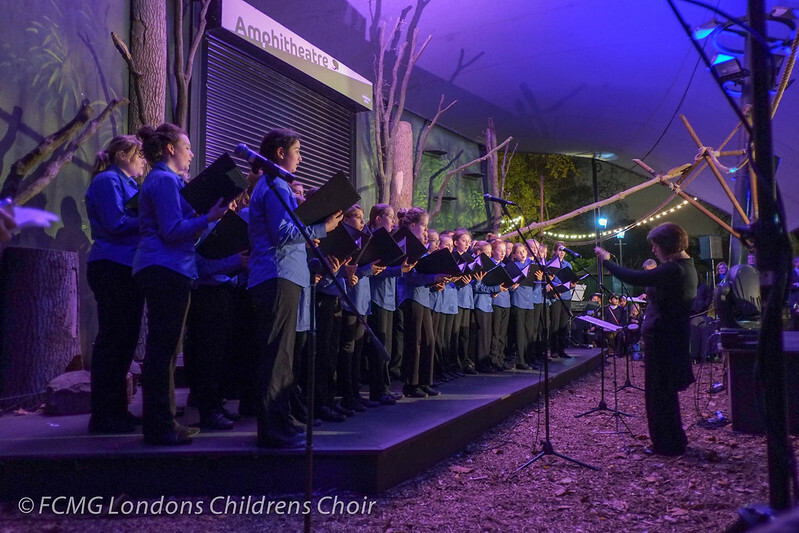 The proceeds are to be divided between ZSL’s wildlife conservation plans for the carnivores of Africa (including a programme to enable the teaching of this cantata throughout the continent) and the Zimbabwe Academy of Music. The event also featured a fine art auction and the Guest of Honour was be Usain Bolt. The Finchley Children’s Music Group were joined by 10 young drummers from the Luton Music Service and the work was narrated by Petroc Trelawney. We are delighted to announce that FCMG’s new website is now up and running. The site features video clips, audio streams, tweets and slide shows, as well as a wealth of background information about the choir, it’s repertoire and past performances. It is fully compatible with both desktop and mobile browsers and includes a members only area with detailed rehearsal and concert information.I would like to thank everyone involved in the construction and content – I think you will all agree that it is a website to be proud of.